Everything you have heard about the notorious Legacy is true. It was forged from the very DNA of the Stuhrling nucleus and demonstrates the essence of a reputable timepiece. 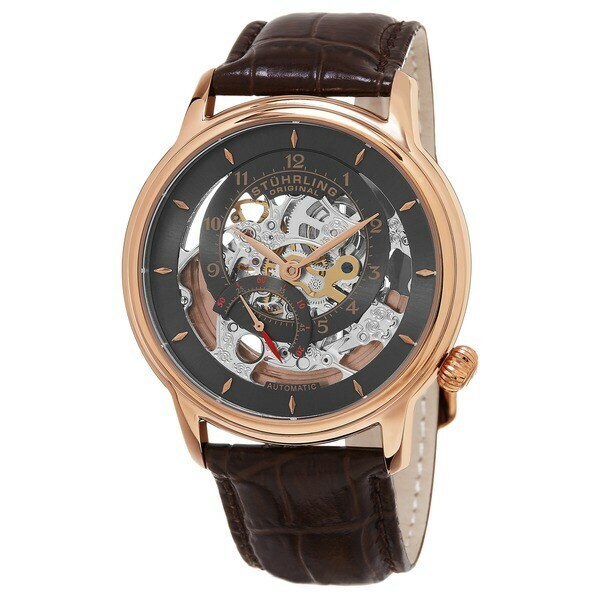 Picturesque skeletonized dials and graceful mechanical movements tell a legend about ingenuity and flair. The triumph of precision. The flawless victory for perfectionism. A way of life. Continue tradition. Most men's watch bands can be sized to fit 7.5-inch to 8.5-inch wrists. Grandpa might seem like he already has everything he needs, but you can still give him a thoughtful gift he'll love this Christmas. No matter what interests your grandpa has, these Christmas gift ideas are bound to make him smile this holiday season. A quality timepiece is a Christmas gift any man can appreciate. From fitness trackers to luxury watches, here are the five best Christmas watches for men. Finding the right Christmas gift for your boyfriend doesn't have to be a challenge — use his personality and interests to narrow down your search. Then check out these Christmas gift ideas for boyfriends and find the perfect gift to spoil him this year. Learn everything you need to know before buying a men's watch. Shop our huge selection of men's watches at Overstock.com.